Okay, this is only marginally related to agile, but I thought it was interesting nevertheless: How to Write a Detailed Strategic Plan. 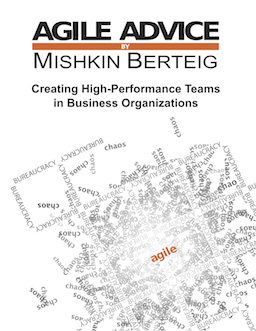 The main connection to Agile Work, is that you need to have a clear performance goal in mind towards which you are working. This may be a great way to clarify your thoughts about such a goal. I find it so interesting that the same basic ideas have circulated (no pun intended) in so many different disciplines for so many years. Does anyone know if there is a good description of a universal / abstract cycle of which all the others could reasonably be considered instances? Worse, some executives like Mr. Konishi complain of managers at Toyota factories who have not adhered to some of the companyâ€™s most basic creeds, like allowing workers to stop factory lines when they spot defects. Empowering factory workers has long been central to Toyotaâ€™s quality control. This is good: agile retrospectives. Well. Last iteration was great! I didn’t document it, because it was trivial: I had one full day coaching engagement plus a two-day public course. And then the rest of the week I did nothing!!! What a joy! Anyway, now onto iteration 6 – cleaning up from the cancelled iteration and catching up from the vacation.